Walking the halls of the PGA Show – January’s annual meeting of all things golf – a sea of uninspiring, stark booths fill the larger than life Orlando convention center. Blown-up images of tour players shout at passing attendees, while other bland set-ups leave much to be desired. But in one corner of the floor, there’s a booth that catches my attention. It has a private vibe, yet at the same time feels warm and welcoming. It’s walls are covered with creative paintings, inspiring images, and unique décor. Plush leather couches greet each guest’s arrival, while the hand-sketched renderings of the booth on display confirm the scrutiny of every design detail. Much like the brand inside, it’s unique, creative, sophisticated, and inspiring. My first (unofficial) introduction to Greyson Clothiers came in January 2017 at the very PGA show described above. It was my first time at the show (which can be an overwhelming experience), and Greyson was one of the many booths I paid a visit. Not surprisingly, it stood out from the rest. 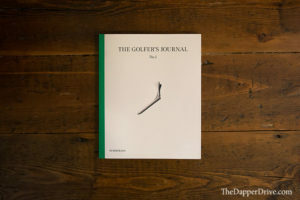 It presented an elevated sense of fashion, while still maintaining the ever important technicals required in golf apparel. Having just lost Ella, our beloved 3-year old black lab mix, I received this message from Greyson. In the moment, these words shed more comfort than can be described and served as an important reminder that at the core of every brand – every great brand anyway – are great people. And as it turns out, the founder and leader of the Greyson pack – Charlie Schaefer (the one behind the note) – is one of those great people. Our unlikely introduction led to a few phone conversations, where we often talked more about life than golf and fashion. That’s just the kind of guy Charlie is. In that initial introduction, he didn’t hesitate jumping on the phone to shed some perspective to a guy he’s yet to meet, but knows is feeling some pain from a loss he’s also experienced. He too is a dog lover with a big heart. Beyond that, he’s a deep, thoughtful and spiritual guy, with great worldly perspective. And of course, he has one amazing eye for design. I eventually met Charlie in December 2017, and it took little time to realize his love and passion for the brand he started, Greyson Clothiers. His knowledge of fits and fabrics, and his gift for design show in Greyson’s quality, style and overall sophisticated (yet badass) vibe. Each apparel related question I toss his way is met with an in depth response. It’s thoughtful, genuine, and void of the simple marketing soundbites pushed by others. He points out details that most wouldn’t even consider — but then again, Charlie isn’t most people. After graduating from Duke University, Charlie and his dog Samantha (a Doberman puppy he found wandering the streets of Durham, NC) packed up his car and headed north for New York City. 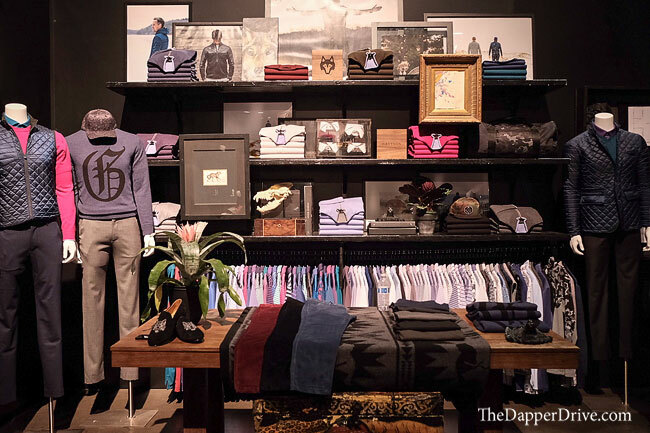 His love of fashion landed him a job in retail, working for Ralph Lauren. Charlie’s knack for design, along with plenty of hard work, eventually propelled him to Senior Vice President of Design at the American icon. A dream job, no doubt. But after 13-years of design with Ralph, Charlie ultimately decided to part ways to tackle an even bigger dream: creating his very own label. True to form, Charlie chose to name the brand after his daughter, and just like that, Greyson Clothiers was born. In a few short years, Charlie has led Greyson to the top of every stylish golfer’s wardrobe wish list, while dressing some of the most fashionable guys on Tour, too. 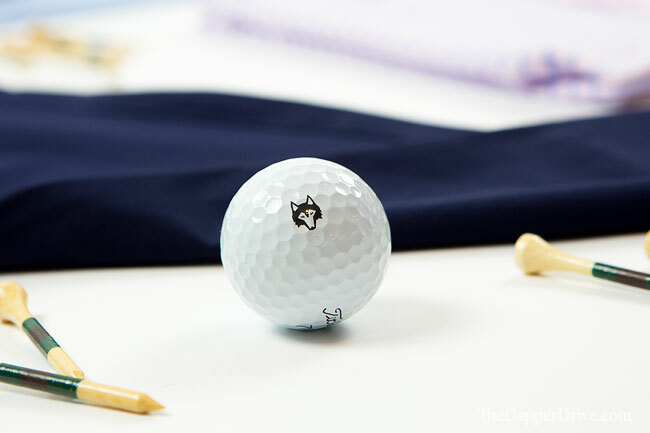 The casual golfer may not yet be super familiar with the Greyson brand, but that’s certain to change. 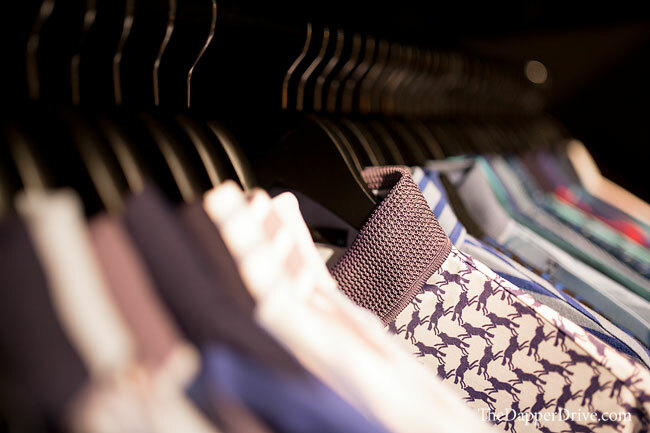 As any fashionable gent will tell you, this brand is too good to ignore. 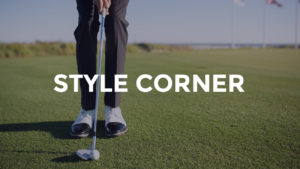 Greyson Clothiers hit the golf scene running with a focus on golf and activewear products that are both fashionable and technical. 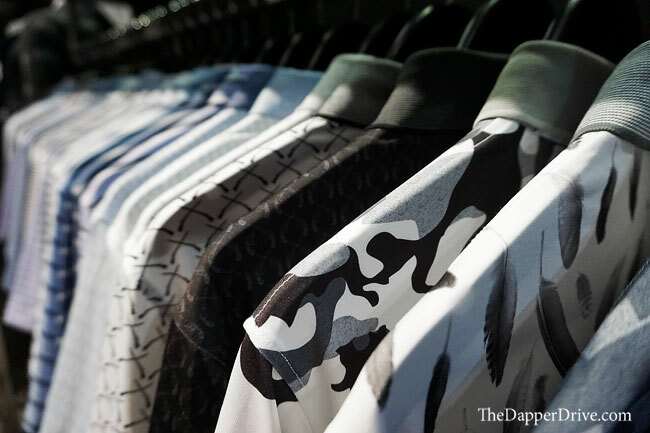 It’s often a hard combination to truly nail, but that aforementioned wealth of technical knowledge, a love for different fabrics, and the unparalleled creative genius possessed by Charlie has resulted in products that perform great and look even better. The knack for design shows in Greyson’s wide and unique suite of products. There are plenty of classically inspired designs for the traditionally minded-player, though each are given a slight twist or modern detailing touch to elevate the apparel. 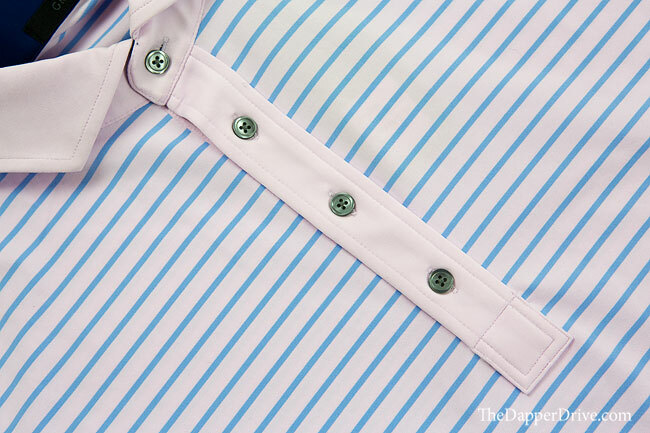 The Erie, Tala, or Aspatong Polos are a few examples that deliver a timelessly classic style, though use of cutaway and button-down collars, contrasting-colored plackets, and periodic use of chest pockets offer a nice variety to the traditional polo. For those who enjoy pushing boundaries with creative designs and non-traditional pieces, Greyson is sure to be a go-to brand. The Camowolf and Falling Feathers Polos, and Polkaskull trousers, showcase the level of creativity, while the Spiritchaser Hoodie and Gotham Joggers push the limits on stylish pieces you can take beyond the course. The tops and bottoms are as good as any, though Greyson really shines in their outerwear and layering. Few other companies stack-up to their creative and stylish lineup of gear. Old patterns and new age concepts are frequently combined to create show stopping pieces, perfect for crisp morning rounds and chilly (or downright cold) off-season play. The Tundra Jacket is a personal favorite. Those of you who have been readers for awhile know I’m a big believer in proper fitting apparel. Nailing the fit goes a long way in ensuring we as golfers look our best. Simply put, Greyson Trousers are among the best fitting pants I’ve ever worn. They are sufficiently trim, offering an elegant look for the course. What really sets them apart though is the fabric. An added bit of stretch enables the trim fitting pants to double as some of the most comfortable bottoms around. The Montauk Trouser should be a staple of every stylish golfer’s wardrobe. 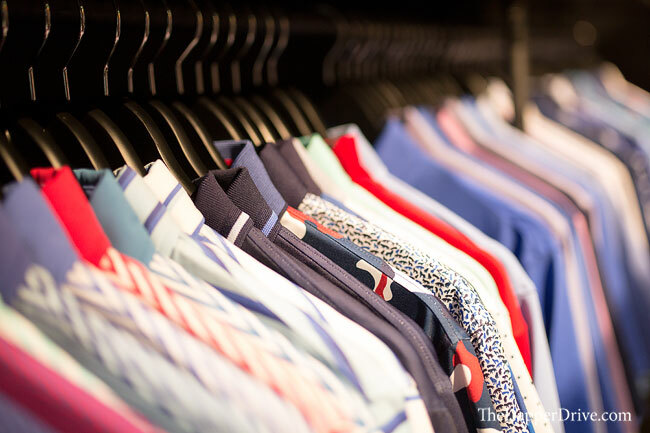 The Polos (and tops) tend to run true to size. Certainly not a relaxed fit, but not ultra-slim either. If you enjoy a little bit of room, choose your go-to (“true”) size. Because I prefer a more tailored/slim fit than most, I size down to a small in Greyson Polos. If you’re wanting that extra trim look, I suggest you do the same and the fit will be great. 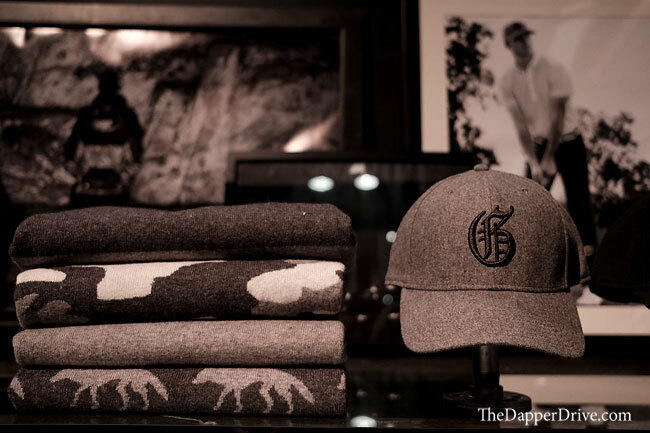 It takes little time scrolling through the Greyson website to determine the symbol of Greyson Clothiers is the wolf. 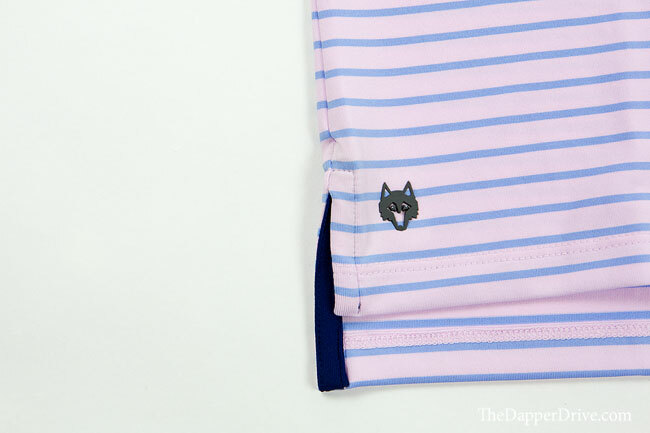 There’s a bit of a symbolic meaning to this elegant wolf logo, which is usually thoughtfully placed on shirt sleeves or just beneath the back collar — always present, but never ostentatious. It symbolizes strength and instinct. And offers a reminder that although we go about many things in life alone, we must embrace the significance of what can be achieved as a pack. Charlie Schaefer may be the founder of Greyson, but it’s the team he’s assembled around the brand that’s helping put them on the map. 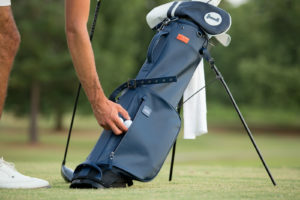 Countless faces work closely with Charlie behind the scenes, while Greyson Ambassadors like PGA Tour players Morgan Hoffman, Kelly Kraft and Luke Donald, as well as fitness guru Don Saladino, each play a key role in the Greyson family. With a crazy good lineup of technically sound, creative apparel, it’s time to give Greyson a look. My suggestion? Begin by focusing in on classically inspired base pieces to build your wardrobe around, before snagging a few creative items to really elevate and differentiate your look. You might not play as well as Morgan, Kelly or Luke, but you’re sure to look just as good, as part of the Greyson pack.